Many businesses and entrepreneurs struggle when choosing the right name for their social media marketing site. Legal restrictions help to limit the seemingly limitless choice. Firstly, it is important to abide by the relevant social network’s terms and conditions of use. Second, it should be ensured that the name rights (§ 12 German Civil Code, BGB), trademark rights (§ 14 Trademark Act) and title rights of others are not infringed. 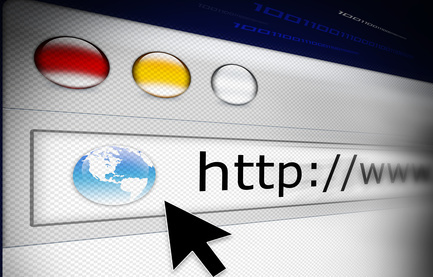 Domain names are generally distributed on a first come, first served basis. However if a third party has a right over a particular name, that name cannot be used by another. Therefore, before setting up a domain, it is advisable to check that no other person owns the rights to the name you wish to use. The German Patent and Trademark Office and the European Union’s Office of Harmonization for the Internal Market offer online services for undertaking such checks. Title searches are available at www.presse.de. Google+ requires only that profiles must contain real names. Facebook, on the other hand, has somewhat stricter rules. Profile names may not contain general terms alone (e.g. Pizza), they may not be comprised solely of capital letters (excluding acronyms) and symbols are not permitted. It should be borne in mind that name changes may only be undertaken in certain circumstances. Businesses sometimes find that an account using their name or their trademark already exists on the social network they wish to choose. Sometimes these accounts have been “reserved” with the intention of selling the account to the true owner of the name (so-called account grabbing). To counter this tactic, owners of a name or trademark can seek an injunction against the person who reserved the account (§ 12 BGB, § 14 Trademark Act). The requirement for an injunction to be granted is that there is a risk of confusion. Another option is for name and trademark owners to initiate so-called “notice and take down” procedures. These involve informing the social network operator of the legal infringement and requiring the account to be deactivated. With a correctly reasoned objection and a little patience this procedure can often be successful.